Former Senate President, David Mark has returned to the Senate following his victory in the last Saturday's Re-Run elections in the Benue South Senatorial District. His election victory is a new landmark as PDP repositions itself for leadership challenge ahead of 2019 general elections in Nigeria. 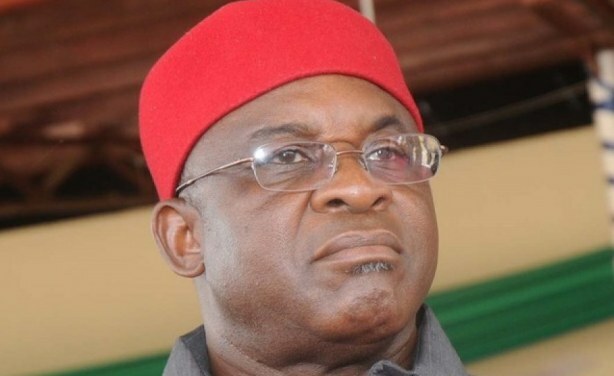 The party further described Senator Mark as a valuable statesman and national leader intensely needed in the Senate, while thanking Nigerians for their renewed support for the PDP and its candidates as demonstrated in recent elections across the country. “It is instructive to note that the PDP had won 70 percent of all the polls conducted since May 29, 2015, a development that underlines the fact of its deep roots and popularity as a brand, irrespective of the transitory setback of the 2015 general elections. “We, therefore, call on all members of our great party to respond to the gesture by Nigerians by uniting behind the ideals of the PDP and visions of its founding fathers and reposition the party for the challenges ahead. We reiterate our call to all PDP elected and appointed office holders across the country to reciprocate the renewed support by Nigerians by redoubling their efforts in patriotically exerting themselves in serving the people in line with the models provided by the ideology of our great party. ” “In this regard, the leadership of the party; the National Working Committee, the PDP Governors’ Forum, the National Caucus, the PDP Caucus in the National Assembly and the Board of Trustees (BoT) are working very hard to ensure that we have a strong party poised to regain power in 2019.